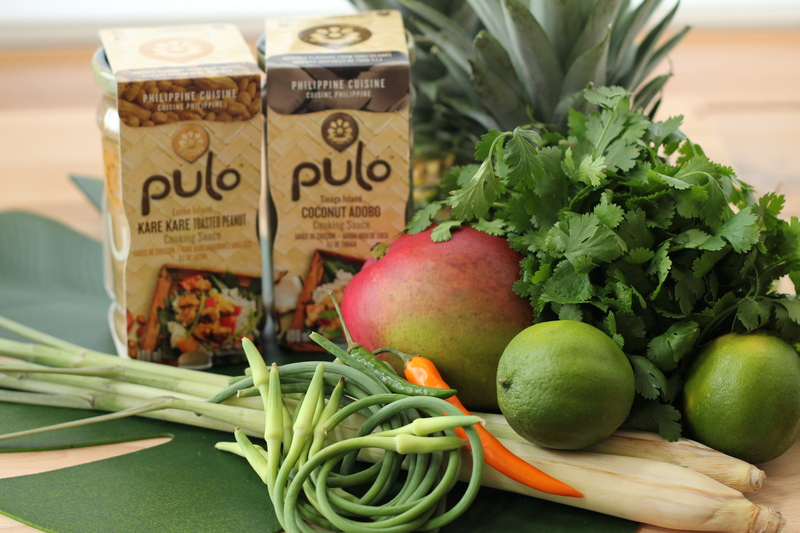 In a resealable plastic bag, pour ¾ of the bottle of Pulo Pineapple Tamarind marinade and place chicken breast in the bag. 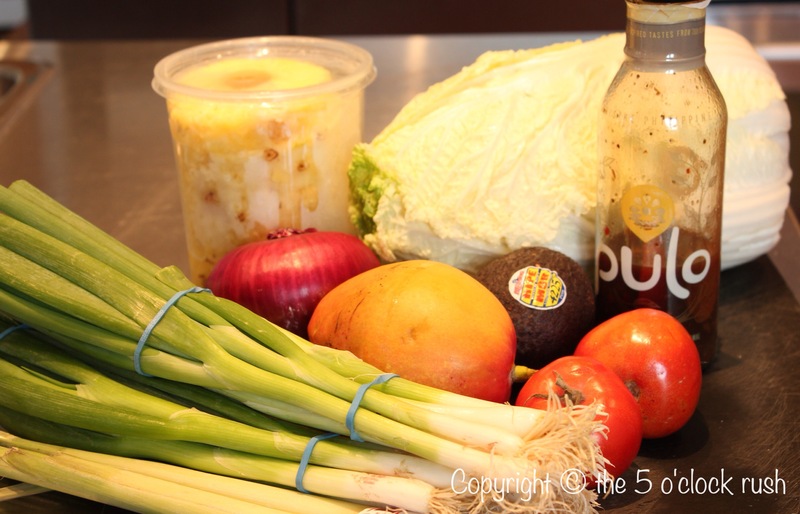 Reserve the remaining marinade to be used as a sauce to serve with the tacos. Refrigerate and marinate the chicken for at least 20 minutes preferably overnight. Slice the pineapple into ½ inch thick slices. Preheat BBQ to a medium high. Remove chicken from resealable bag and place on grill. Brush the chicken breast with the marinade in bag during the last 5 minutes of the 15-20 minute cooking time. Tip: The chicken will stick to the grill due to the sugar/sweet content in the marinade. To achieve perfect ‘grill’ marks on the chicken breasts do not move or try to lift the meat. Be patient; the chicken will ‘lift’ easily from grill when it is ready to be flipped. Grill pineapple slices until warm and the natural sugar caramelize. 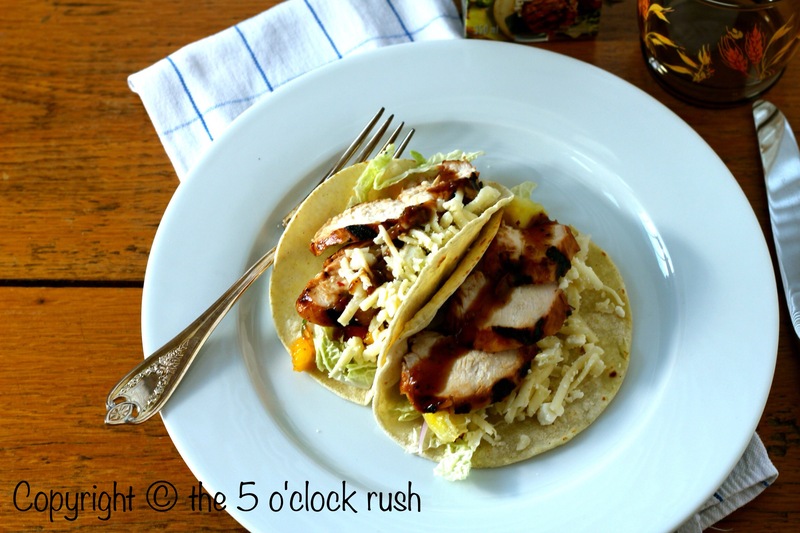 Chop pineapple and set aside for taco bar. 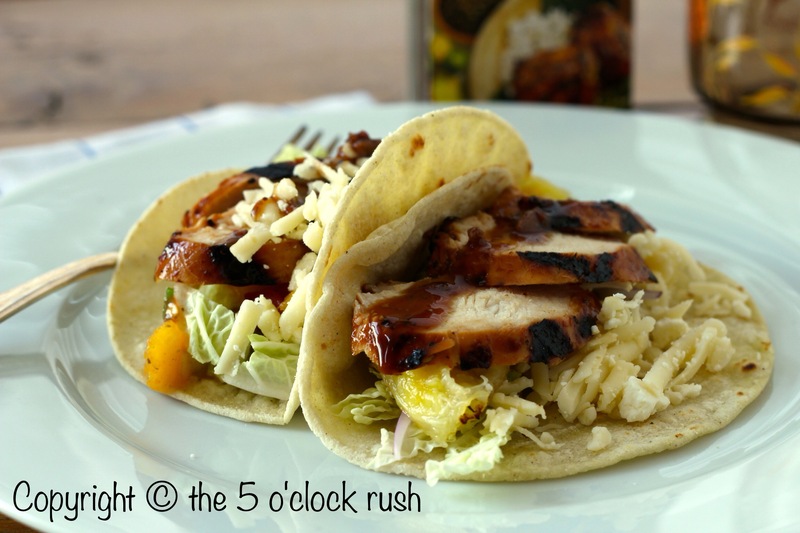 Slice the grilled chicken on the bias for assembly into the tacos. 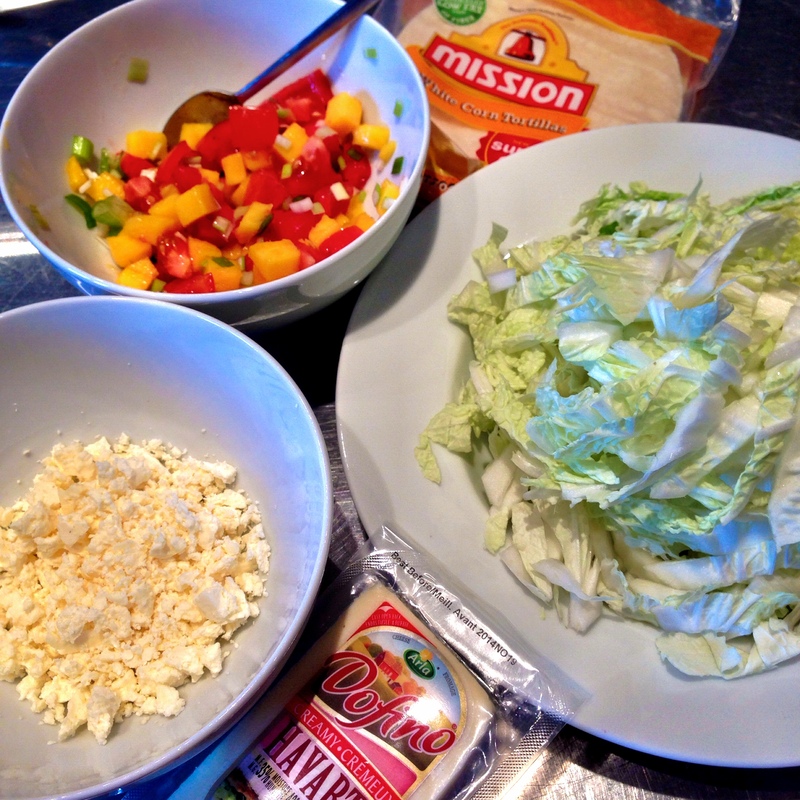 For Salsa: Mix all the salsa ingredients in a medium size bowl. Season with salt and pepper to taste. 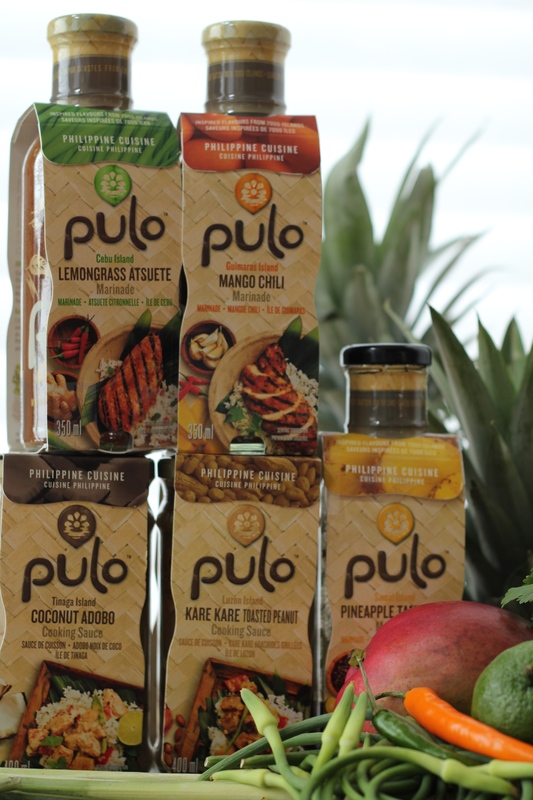 Set up a taco bar of all the garnishes including the fresh mango salsa and reserved Pulo Cuisine Pineapple Tamarind Marinade. 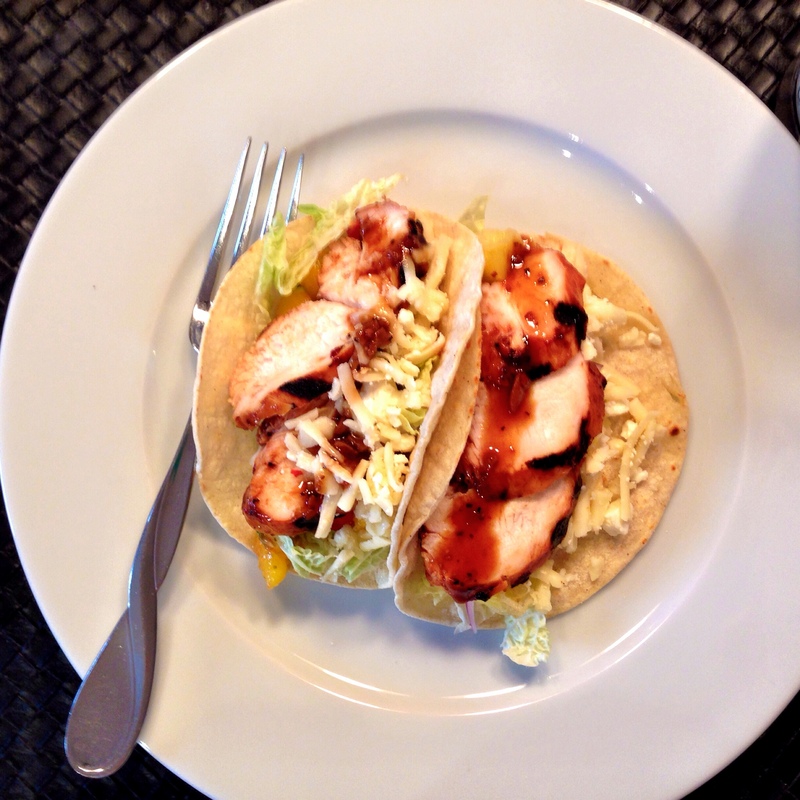 *Heat white corn tortillas on an ungreased skillet over medium-high heat for 10 to 15 seconds. Flip and heat for another 5 to 10 seconds. The chicken was moist, full-flavoured with a great balance of sweet and sour. It was also great that the overall flavour wasn’t over the top with too much heat or spice. The packaging labels are well designed and informative with instructions and a ‘heat’ meter. The tacos were a huge hit with the family. Everyone thought the flavour was great and that the grilled pineapple was different addition to their usual taco bar. The kids enjoyed the leftover chicken in wraps for their school lunches this week. All views are my own. 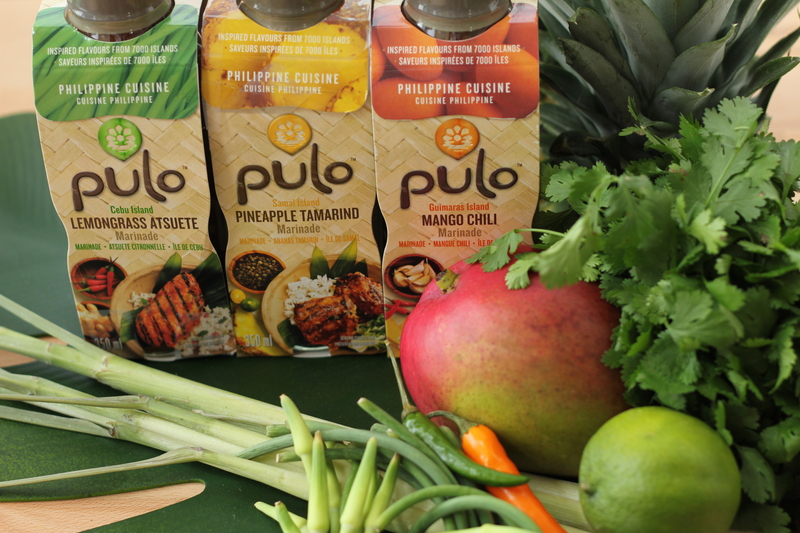 I was contacted by Pulo Philippine Cuisine to write my honest review about their products. the 5 o’clock rush was not paid to write this post. Looks good Kim! I have seen these in the grocery store and might just have to give them a try! We are a taco loving family! Mmm these look so good! !